I take students' photos on the first day of school wearing an astronaut costume. I then use Print Shop to crop the photo and place it on a stock image of outer space. The posters are hung on the hallway with space-themed scene setters from Party City. 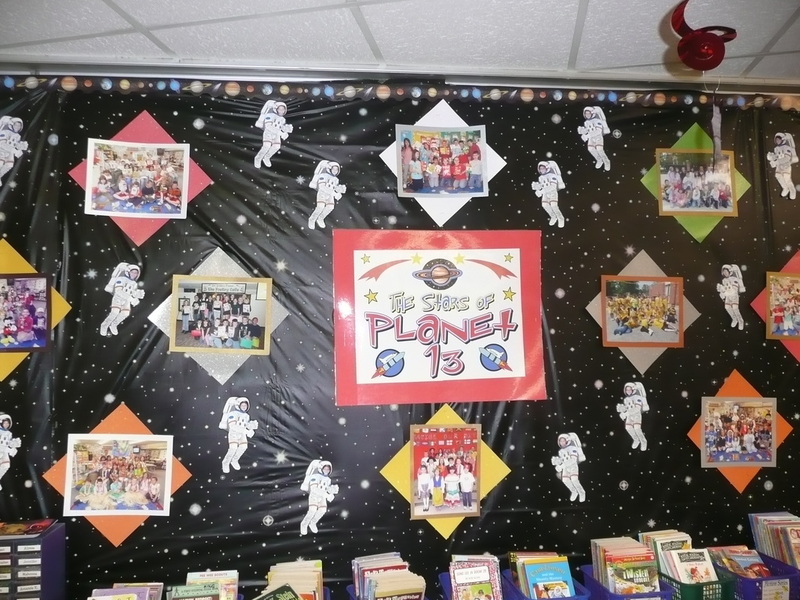 Students fill out a Planet 13 profile that hangs with their astronaut poster in the hallway outside our classroom. 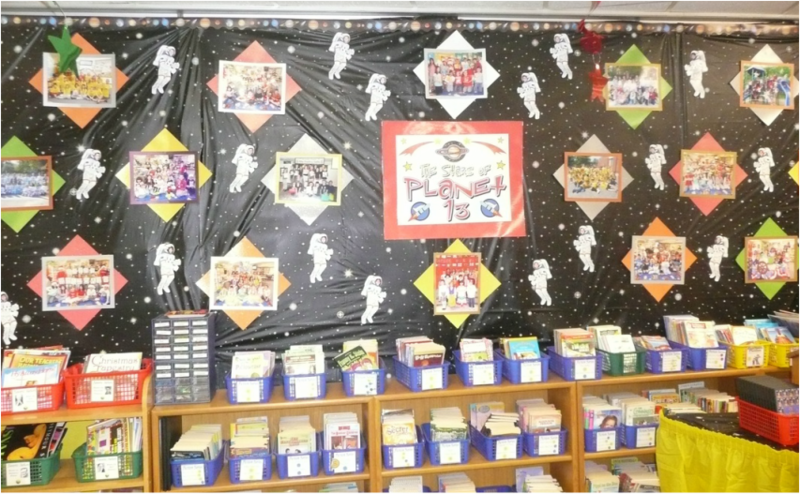 We decorated our classroom to look like outer space for our end of the year celebration and open house. 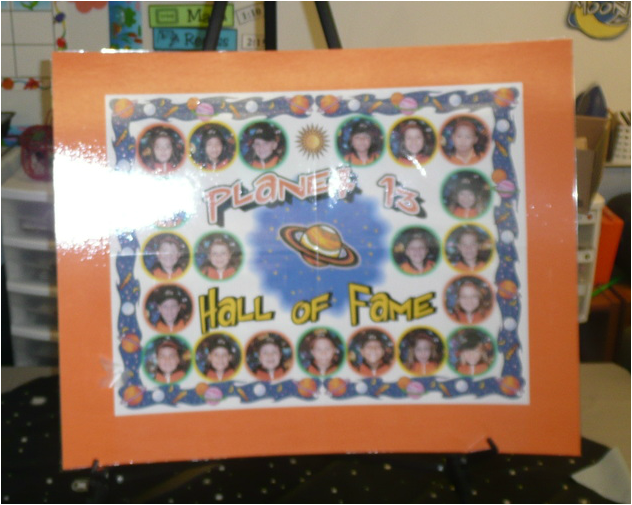 Class photos from throughout the school year covered the walls with students floating as astronauts around the posters. 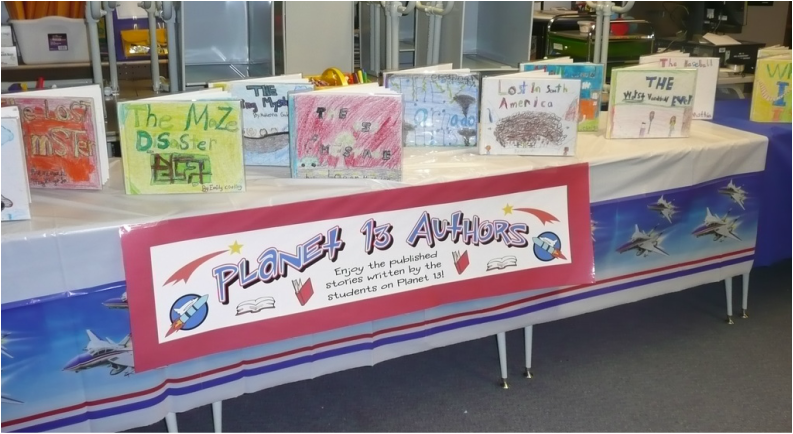 Word study center rotation groups were named after planets. 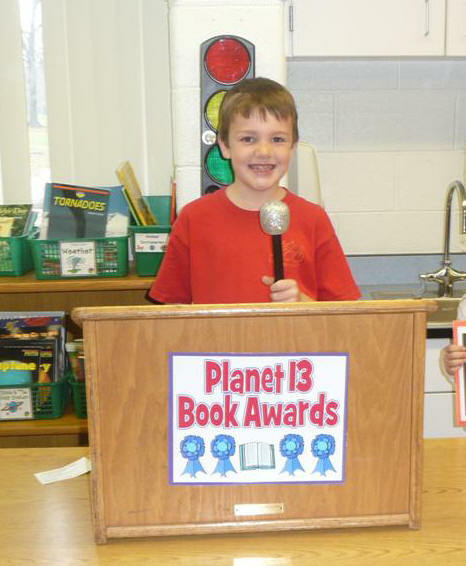 Our class book awards took on the space theme! 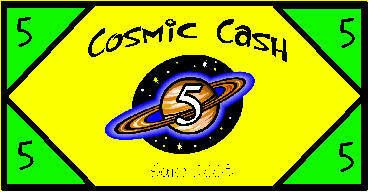 The money in our classroom economy was called "Cosmic Cash" to match the space theme. Check out my other class theme ideas!